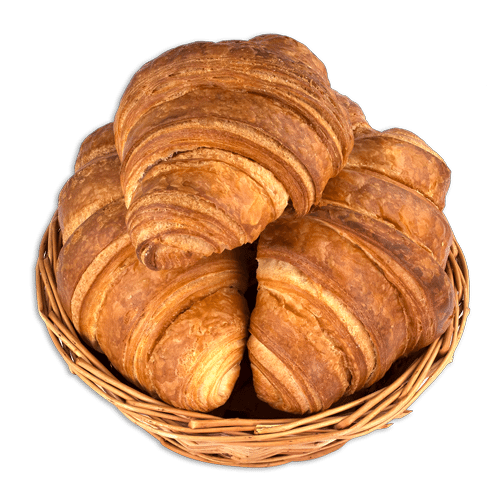 With a passion for baking Moyra Donnelly , mother of the current owners and Bakers Cathal and Eugene Donnelly, started making bread in a back kitchen of her mother’s shop around 1960. In 1978 Moyra moved to Ballycastle to open up a Home Bakery based on home baking traditional Irish breads with a Scottish influence and two years later turned her living accommodation above the Bakery into a coffee shop – now that is dedication to customer needs! 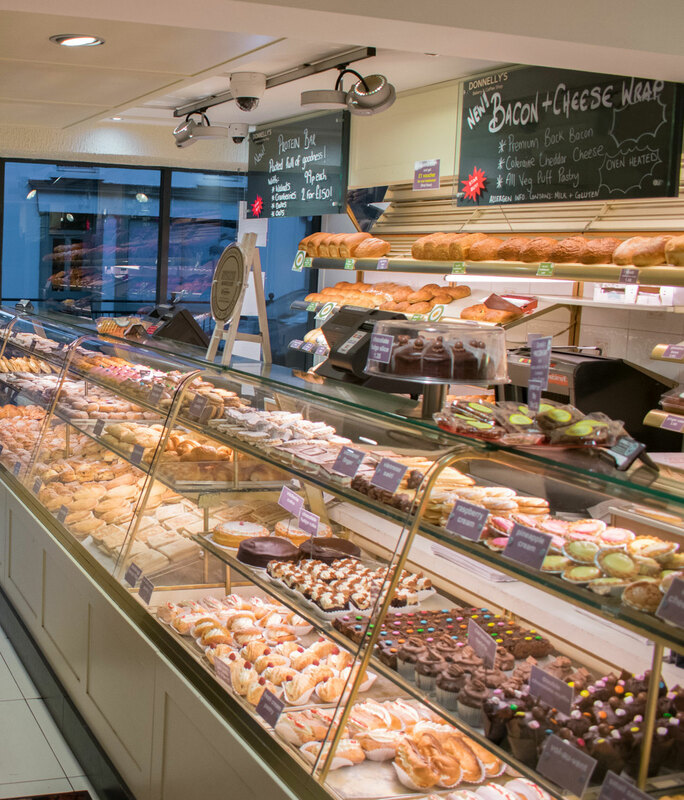 40 years on and Cathal and Eugene Donnelly carry on the tradition providing quality products and service taking pride in using only the healthiest of locally sourced ingredients both in the Bakery and the coffee shop upstairs. Our coffee shop is open from 08.00am to 5.00pm you can enjoy a coffee with a newspaper and watch the world go by or have a lunch with friends or soup and a sandwich to go – the choice is yours but we guarantee great taste , great service and great value . 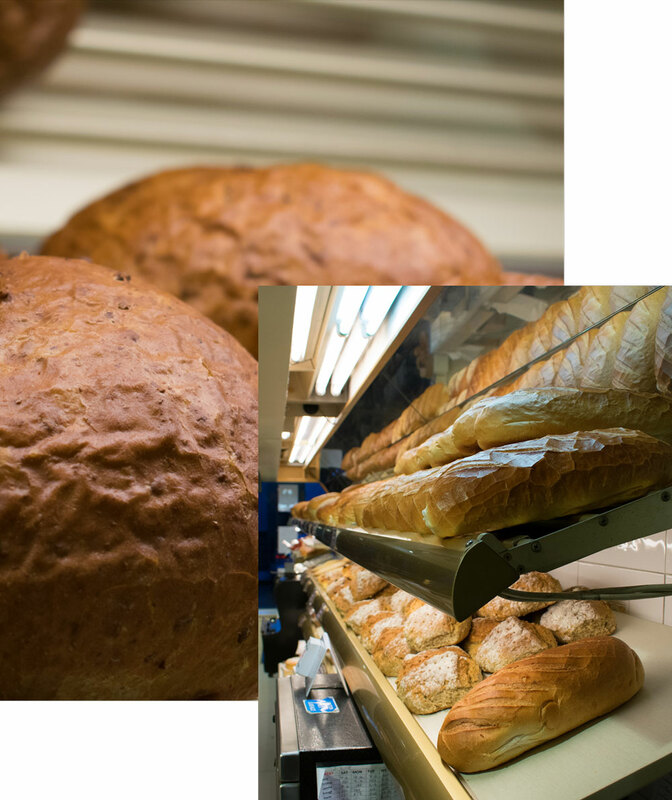 Commute to work on a dark winter’s morning and the Bakery shines like a beacon of light and loveliness – not to mention the enticing smell of freshly baked bread and ground coffee at 7.00am .